Have you ever thought what could happen to all your Google inactive accounts after your death? On last Thursday (April 11, 2013), Google introduced a new feature called Inactive Account Manager, which will enable us to decide what should be done with our data stored within the Google products. The online life that we go through now is no more like what it was few years ago. Nowadays, even the most confidential files are stored at online services like cloud drives, rather than in a bank locker. Hence it is an inevitable need of a feature or a function that can let us decide our digital property’s afterlife. Many Google users had requested Google to come up with a feature like this, so that they can create a digital will. Besides that many users had requested for an option to delete their account, without leaving behind any footprints so that their online life remains private and secure. Inactive Account Manger is what Google came up with, in order to address all these obvious concerns. 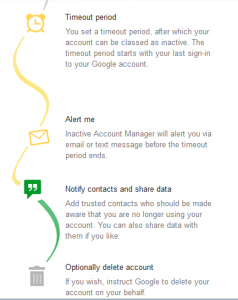 How to use the Google Inactive Account manager? 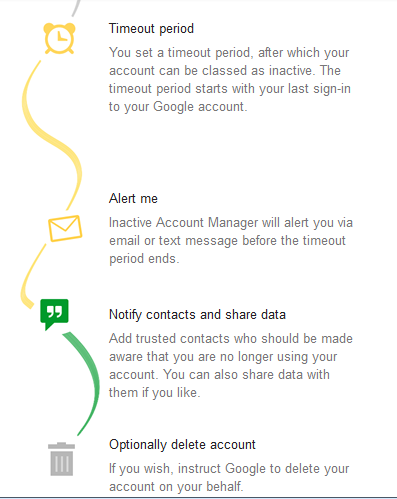 Using Inactive Account Manager feature, you can tell Google of what should be done with your Google account if your account becomes inactive due to any reason. The options made available are – deleting your account or transferring your data to a trusted contact (the digital will .. Oh yeah digital life is getting closer to reality). With the first option of deletion, you can set your entire Google account to be deleted permanently after a specified period of inactivity and the available time period are 3, 6, 9 or 12 months. Alternatively, you can choose a trusted friend or relative of yours, with the intention of transferring data from all or some of your Google services to their Google account. 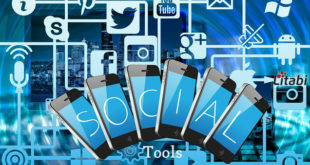 The services from which the data can be received includes Gmail, Google +1s, Blogger, Contacts, Google + Circles, Drive, G+ Profiles, Pages and Streams, Google Voice, YouTube and Picasa Web Albums. Pretty much all the major Google services. Worried whether your account will be deleted due to any unexpected period of inactivity? Google won’t delete your data without any warning, they will first send a text message to a specified contact number and also an email to your secondary mail address. I’m sure by now you are reckoning about whom you must pass on your Google legacy to. If you are done and have someone on your mind, head to the inactive account manager now. We ought to thank Google for being prudent about our experience with them and introducing the inactive account manager that assures us of our Google account’s digital afterlife. Good News. I heard this news. Still if user wants to access his/her deceased relative’s gmail, he/she can do. Interesting! The idea of ‘Digital Will’ fascinates me. Things are changing rapidly and it’s because google listens to us and delivers what we need. Thanks for sharing. VPN vs Proxy: Which One Is The Best?